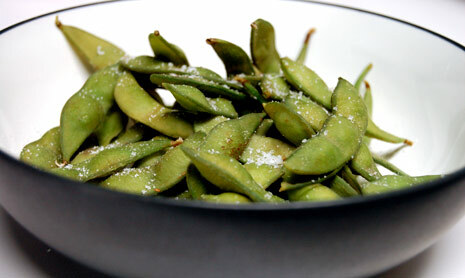 Edamame (a.k.a soybeans) is such a healthy snack considering it is loaded with fiber and protein. You can get them frozen at Trader Joes, or even buy them organically in bulk at Costco. I recommend buying the variety that is still in the pods, because like pomegranates and peanuts, I think food is more satisfying when you have to work for it. To make them, just steam or boil them for about 5 minutes, sprinkle with sea salt, and enjoy!